I cannot believe that Disneyland Paris is 25 years old already. I still remember the park first opening and desperately wanting to visit when I was a child. 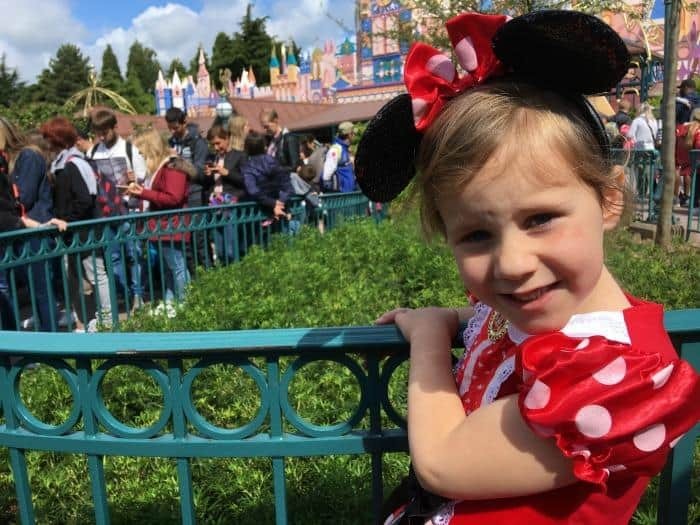 Unfortunately, that didn’t happen when I was little but who can forgive me for thinking about wanting to visit Disneyland Paris now that I have two little girls of my own. Holiday Inn and Air France helped us make that dream come true when they invited us all to Disneyland Paris for the weekend to enjoy the 25th Anniversary celebrations. I knew the girls would literally pop when they knew where they were going , and how I kept it a secret from them until the day I will never know. 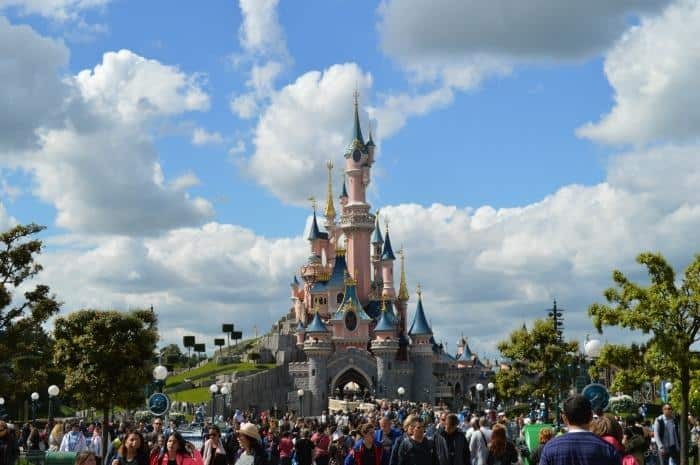 It’s no secret that when you look up how much it is to visit Disneyland Paris the price tag can be pretty expensive, even for a very short stay. Hotels near Disneyland Paris are a great option, and we had the pleasure of staying at Holiday Inn – Marne Le Vallee during our visit. We have been lucky enough to work with Holiday Inn a few times, and we have always found them to be very family friendly hotels. The staff are always very welcoming, whether it’s at check in or when you need some information about the local area. I’ve made no secret that our two young daughters can be quite a handful both at home and when travelling. When they are excited, they are double trouble to say the least. The staff at Holiday Inn did not mind in the slightest, and no one batted an eyelid when they were charging around reception in their favourite Disney dresses excited to be heading to the park for the day. 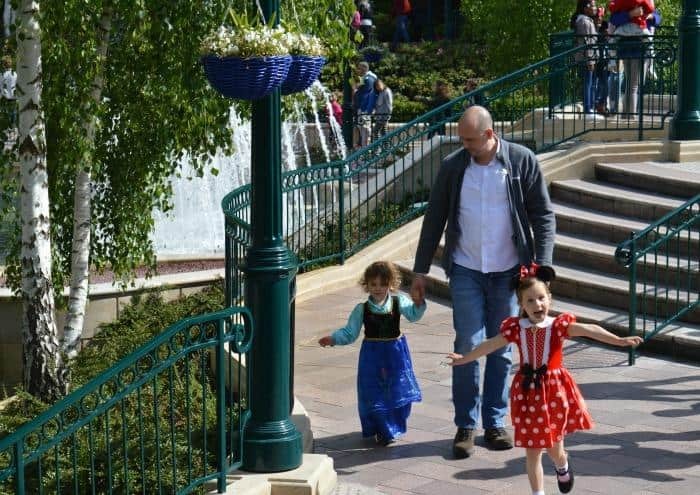 When you are booking a hotel for a family visit to Disneyland Paris, it’s worth knowing that Holiday Inn have been leading the way in family friendly accommodation since 1952 and are the first and only brand to offer the ‘kids stay & eat free’ package across their 70 worldwide destinations. Our stay at Holiday Inn Marne Le Valle was reliably comfortable and exceptionally friendly as well as being a great base for visiting Disneyland Paris. We told the girls they were going to be visiting Disneyland Paris on the day, as we wanted them to enjoy a good nights sleep in the hotel before their big adventure. After breakfast we finally revealed to them where they were going, and you might have seen on Facebook Live quite how excited they were. We popped back to our room so they could put their outfits on for the day and then crossed the road from the hotel to the train station. We waited no more than 10 minutes before we got on the train that went directly to Disneyland Paris with our very excited little princesses. After a twenty minute trip journey, we headed towards the park, and stepping inside Disneyland Paris was everything I had imagined it would be. It’s like entering a magical world of dreams where literally anything is possible and the kids couldn’t wait to get started. 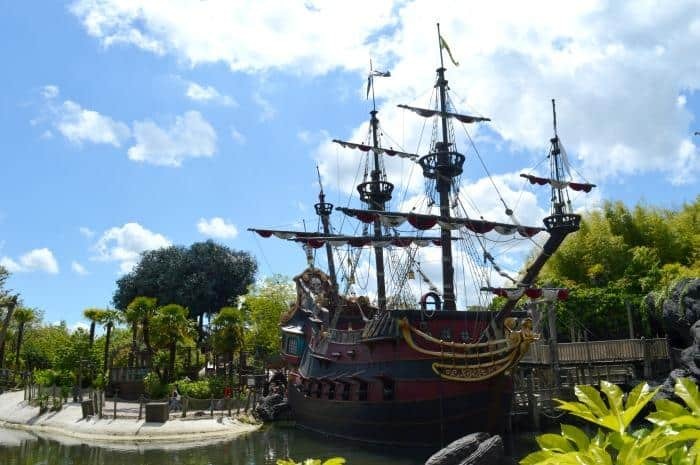 I had made a plan of the rides that I thought our children would enjoy as a guide, but things did change depending on the length of time we were expected to queue. Our children aren’t queuers to be honest, but there was still a lot for them to see and do even with skipping a few rides. The first and probably favourite ride of the day was ‘it’s a small world’, which had all of us in amazement at the singing and dancing dolls we saw from our boat. The children’s jaws were somewhere near their knees for most of the ride, so it was a really good start to the day. We spent a lot of time in Fantasyland which is a great for younger children visiting Disneyland. The queues are short and the rides are all accessible. Daddy and Princess went on the carousel, which is her very favourite ride, and the horses are particularly fitting for a Disneyland Park. We finished up at Sleeping Beauty’s Castle, which I think was a highlight for all of us. When you have seen something so many times in the films and on TV and then you are actually there, inside it, it’s nothing short of magical. As we came out the crowds were gathering for the Starlit Princess Waltz. We found a shady spot under some trees and waited for the Disney Princesses to appear. The girls loved it, and I’m not sure which I enjoyed the most, watching the Disney princesses or watching my own little princesses put their spin on the dance routine. Can’t think of any holiday ideas? Get a group of your friends or members of your family you want to take a trip with and make a list of all the places you all want to go. Once that’s down, think of all the activities you want to do too. With this in mind, have a budget in terms of how much you are all willing to pay for a holiday. The memories are what counts in the end. If you are wondering whether it is worth visiting Disneyland Paris for the day, I would definitely say yes. We covered a lot of ground during our visit by focusing on the rides and things we wanted to see. We managed to see a lot more than we thought we would during the day and even managed to enjoy the 25th Anniversary Parade without spending a ridiculous amount of time lining the route. We arrived just in time to see the final floats and the one that was most important to our children, Frozen with Elsa and Ana. We had hoped to stay at the park until well into the evening, but our kids just couldn’t handle any more excitement. They desperately didn’t want to leave but in the next breath deliriousness was starting to set in so it was time to catch the train back to the hotel and get them ready for bed. They definitely slept well that night. If we had of had more time we would have loved to try the Princess Dining at Disneyland Paris after reading The Willow Tree blog review. We would like to say a huge thank you to Holiday Inn and Air France for inviting us to enjoy Disneyland Paris to discover just how easy it is to visit the park from Holiday Inn Marne Le Valle. 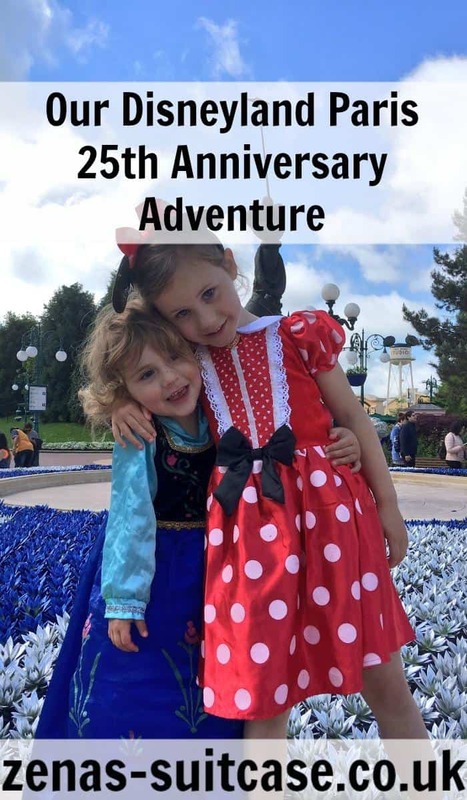 If you are looking to plan an affordable trip to Disneyland Paris I would have no hesitation in recommending Holiday Inn and Air France to become apart of your holiday plans for the Disneyland Paris 25th Anniversary celebrations. Your trip sounds so lovely and I’m sure it will be a memory your girls carry with them forever. Holiday Inn sounds like a wonderful place to stay near Disneyland Paris and it’s fantastic that they are so child and family friendly. My two can get quite rambunctious as well and this is a very important aspect of finding a place to stay when we travel. We love visiting Disney too, although we have not had the pleasure of seeing Disneyland Paris. I am so jealous. This looks absolutely magical! What a way to spend your 25th anniversary; I bet it was an amazing time! Oh wow sounds like it really was a magical experience! We are hoping to go this summer and look forward to reading more about your trip. Was is very busy though? Ah, we did 4 days staying at the Davy Crockett ranch and were exhausted every night! Loved reading this post… going in July and even more excited now! Sounds like an amazing experience for you all. Wow you certainly packed a lot on your day trip, well done all. Bet the girls did sleep well that night, so much excitement & so much to take in.